You Watch Naruto Shippuden Episode 225 online English sub free episodes with HQ / high quality. Stream Anime Naruto Shippuden Episode 225 English Subbed The Cursed Ghost Ship. Naruto and his crew encounter a strange ship floating on the sea, seeming to match Captain Yamato’s description of a “ghost ship”. Once on board, Naruto meets a young boy named Hishaku who lost all his shipmates to a gigantic sea creature. The creature makes its presence known and with the help of the boy Naruto is able to defeat it. 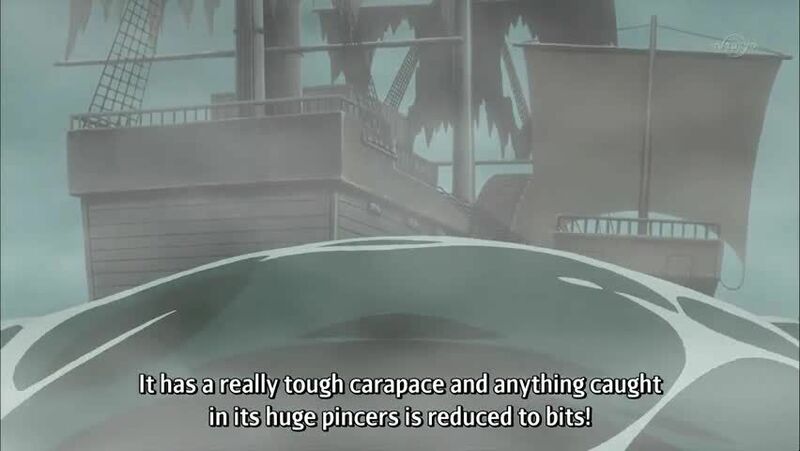 After this, it is revealed that Hishaku was in fact dead, and just couldn’t move on because the creature had killed his crew, including his precious captain. Naruto is stunned to find out that it was a ghost ship he had been on.